Client: Client: Rothenbühler Cheese Chalet Co.
the Rothenbühler family has been producing high quality, nutritious and delicious Swiss cheese since 1956. 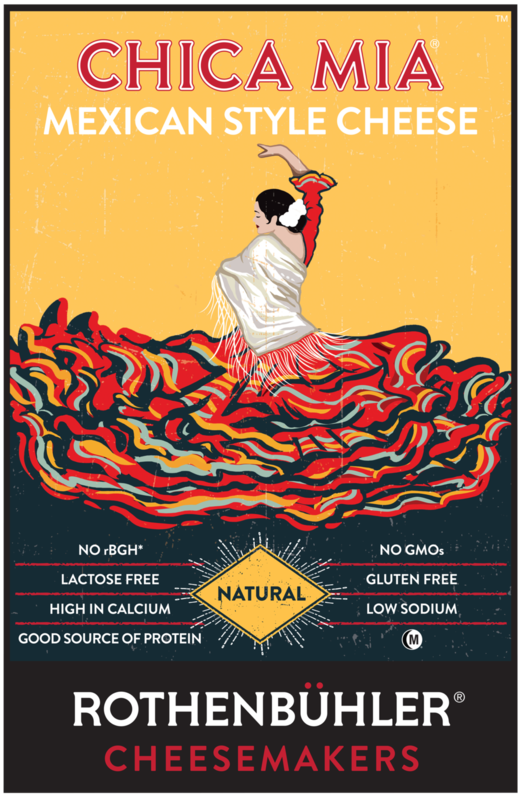 Project includes: Illustrated cheese label of Chica Mia and packaging design. representing the sustainability process and web layout.